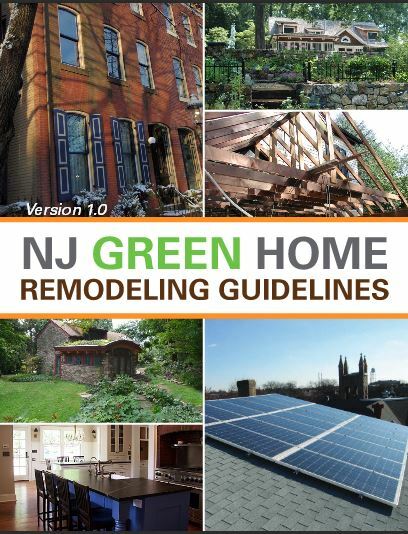 New Jersey Department of Environmental Protection and the United States Environmental Protection Agency provided funding to Rutgers Center for Green Building to develop the New Jersey Green Home Remodeling Guidelines with input from expert advisory group comprised of residential building and remodeling professionals, interior designers, landscape architects, and experts in the field of green building and energy-efficient design. These guidelines provide clear and easy to understand information on the cost, the types of environmental benefits and the level of difficulty. The report provides case studies and lists green strategies that you might want to consider as part of your next home improvement project. The graphic below indicates that using ceiling fans are a low cost DIY project that will provide improved air quality and some energy savings.